Wires, Murals, and The People Caught In-Between. 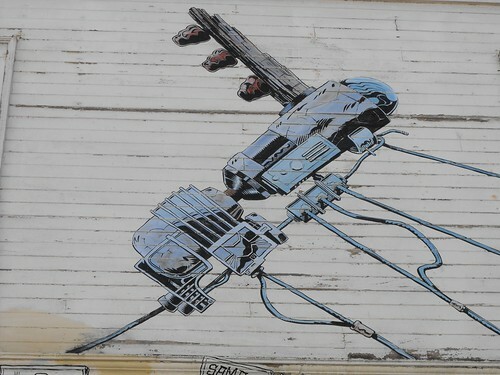 I love how this mural has incorporated all of the wires that were already attached to this building into its theme, even though I’m not quite sure how to read that. Are they like razor sharp piano wire that is slicing that person into different pieces? Or are they more like electrical organic wires that are creating that Pink Floyd assembly line creature below? And what the Hell is going on down there? It’s like one of Neil Gaiman’s nightmares that someone decided to put up on the side of their house. I don’t know. Don’t ask me. 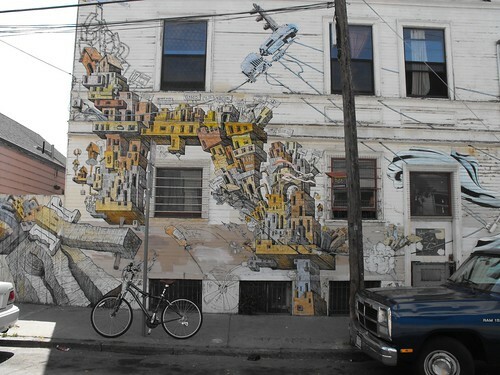 This mural really compliments this building. 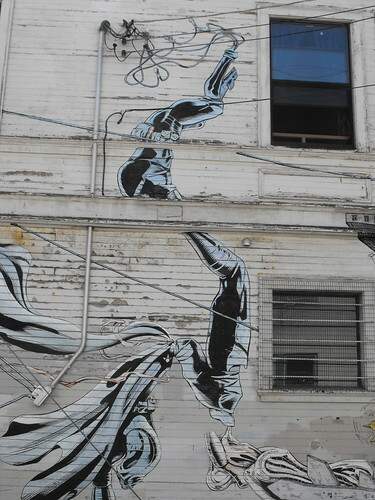 The building itself is pretty haggard; it could stand to use a new paint job, yet that works with the mural that has a beautiful yet haggard feel to it. 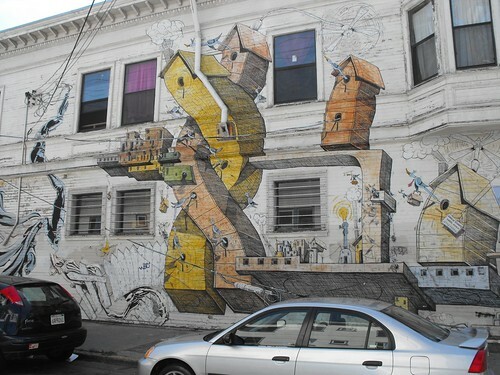 I think this is a great example of how a building doesn’t’ have to maintain a pristine paint job to work with its mural. It’s a really interesting piece.